Mt. 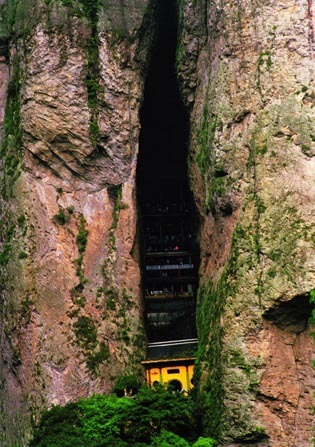 Yandangshan Global Geopark is located in Zhejiang Province in China, which covers an area of 294.6 square kilometers. Mt. 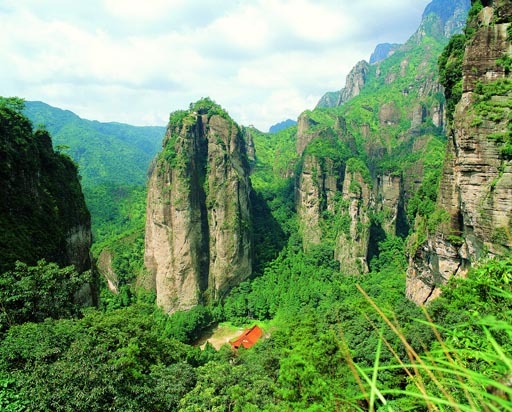 Yandangshan is a natural park based on its geological landform of Cretaceous volcanic rhyolite. The geoheritage in the Park is referred to as a typical example of the formation and evolvement mode of reviviscent caldera on the edge of Asian Plates in late Mesozoic. From the Geoheritage, we can see the complete geo-evolving process of the eruption, subsiding and reviviscent apophysis of volcanoes. The Geoheritage provides a permanent sample for studying the volcanoes in Mesozoic. After the process of fracturing, cutting, and raising by the force of nature, the structure of the Caldera is presented before our eyes. The Caldera works as a natural museum to explore the structure of the edge of Asian Plates, the function of magma, and the inner geology. It also serves as the most typical field experimental site where the Cretaceous caldera is studied and a base for popularizing the knowledge of earth science for the youth as well. The Geoheritage is of high scientific and aesthetic value, which makes it rare in the world. The particular natural landscape is formed on the basis of the thick rhyolite, which buids up a reputation among a number of eminent souls. The beauty of Mt. 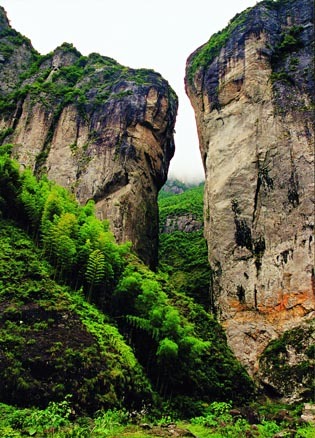 Yandangshan is embodied by its sharp summit, the continuous ridge, the curious rocks, strange caves and rock doors, all of which are regarded as bones of the Mountain. The falls, streams, rivers and lakes among the Mountain are looked upon as the artery of the park. On a whole, the park is unique in structure, harmonious in arrangement, majestic in vigor, which makes for a peculiar and graceful picture of volcanic rhyolite. The peculiar landscape of Mt. 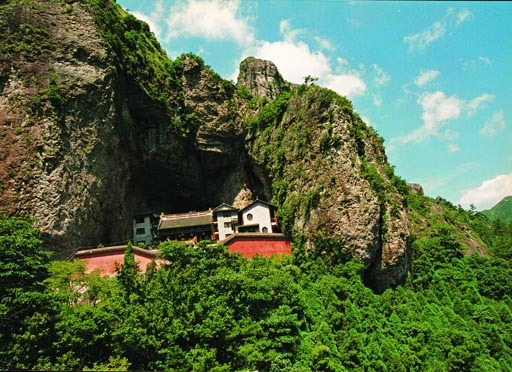 Yandangshan endows with poets, painters and litterateurs with strong aesthetic feeling and inspiration. More than 5 thousand poems were created since the Tang and Song Dynasty. Over 30 historical books or travel notes were written to describe its natural scenery, ecological environment and culture. There are more than 400 spots where you can appreciate cloud-kissing cliffs and carved stones combining literature, calligraphy and stone inscription art. The history of quarrying of Changyudongtian also gestates developed stonework, represents local craftsmen's understanding of characters of the lavas in Mt. Yandangshan and super stone-carving level, and creates colorful stone culture. The outstanding scientific value, beautiful and unique natural landscape and the buildup of landscape culture for a long history make it peculiar among the similar relics. Mt. Yandangshan belongs to China and to the world as well.